You’re about to head home after an amazing time in Korea when the thought strikes you, “What would be the perfect gift to give people?” You’ll want something unique but not too large or expensive. If you’re at a complete loss, don’t worry; simply buy the following items and your shopping checklist will be crossed off in no time! Korean laver should be at the top of every visitor’s list. A simple yet nutrient-packed food, laver can be eaten as a side dish with rice or even by itself for a snack on the go. Laver, dried in the sea breeze, has a naturally salty taste. However, these days you can find a variety of flavored laver, from kimchi and wasabi to charcoal grilled beef! Laver also comes in many different sizes, from full sheets like used when making gimbap to shredded laver for garnishing dishes. 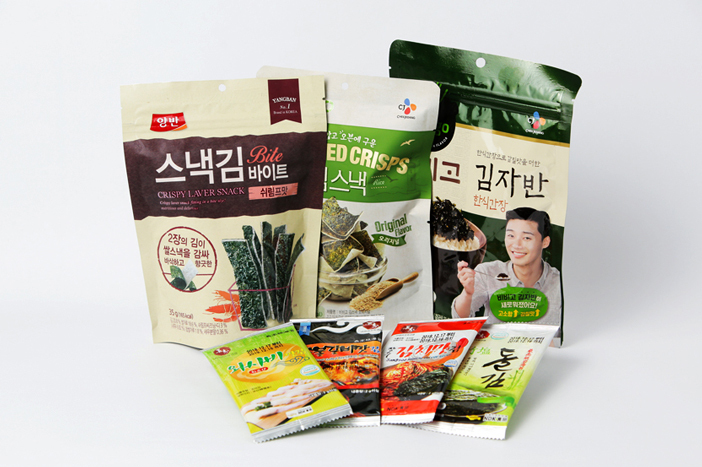 When it comes to giving food as a souvenir, most Korean snacks are a safe bet. Market O Real Brownie in particular is quite popular. The taste of the brownies is as decadent as the packaging of the individually wrapped snacks. 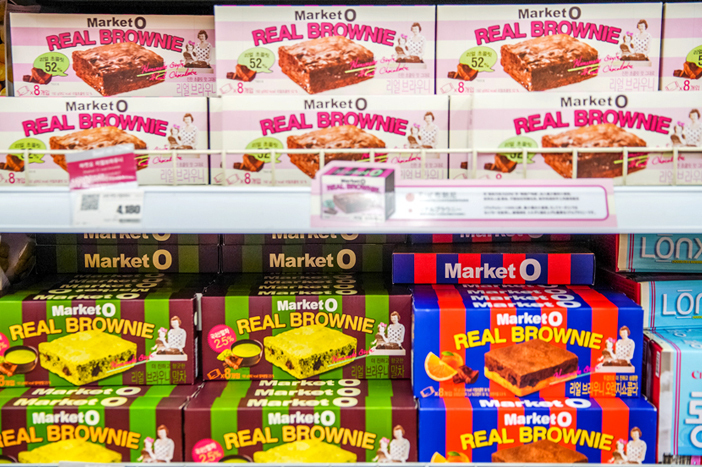 The brownies come in many flavors, from the standard rich chocolate to green tea-flavored and chocolate-covered orange. If you can’t decide which type to buy, pick up a mixed box! Oreo O’s was a breakfast cereal loved by ‘90s kids in America. Sadly, it was discontinued throughout the world in the early 2000s, excluding Korea, where a contract loophole allowed for continued production. 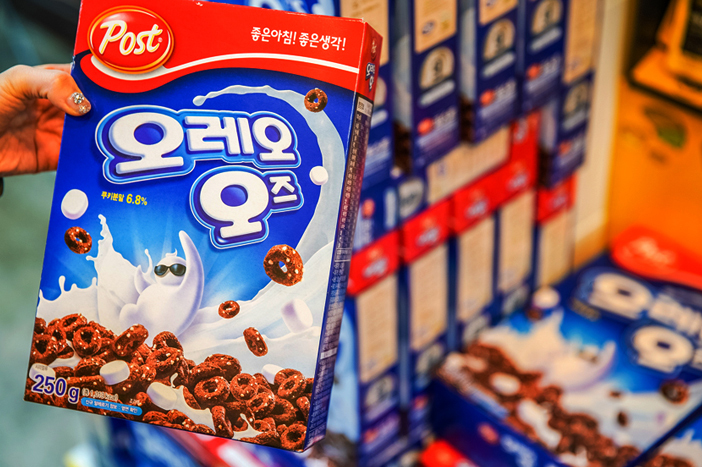 News of this spread through social media, with some people even buying Oreo O’s from Korea through online auction websites at exorbitant prices. Due to popular demand, the production of Oreo O’s has resumed in America, although the original crème-flavored marshmallows are missing. If your friends are ‘90s kids, don’t deny them the chance to enjoy the Oreo O’s they fell in love with! The safe choices of bibimbap and bulgogi have lost their role as the favorite Korean foods among foreigners. These days, Korean fried chicken reigns supreme! We know how difficult it is to explain the sweet and spicy flavored marinade that makes Korean fried chicken so special. Thankfully, you won’t have to explain it in words; with store-bought spicy chicken seasoning sauce, you can show your friends and family exactly what you fell in love with! Stationery shops are filled with cute items, perfect for small souvenirs. As strange as it might sound, socks are one of the most popular items. 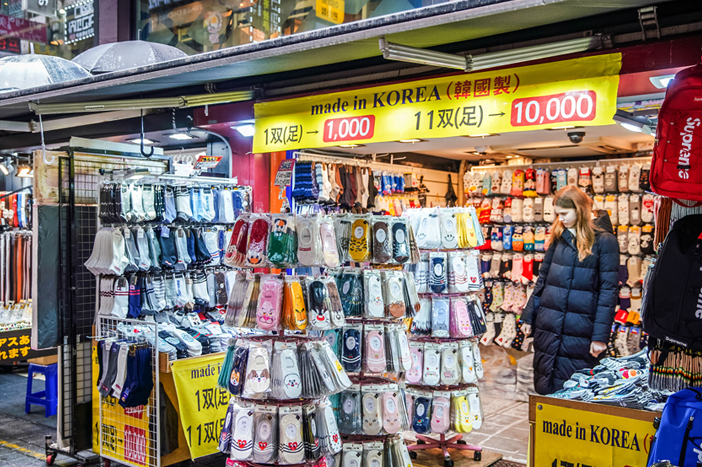 What make Korean socks so unique are the colorful designs, from tamer striped socks to wild and crazy socks with popular cartoon characters. The low price also helps in making these some of the bestsellers; starting from around 1,000 won, it’s hard to resist buying them all. Koreans are known for the extreme lengths they go through for clear, dewy skin. However, the daily 12-step regimen is a lot of work. Thankfully, K-beauty products pack a heavy punch so even if you just adopt a one-step regimen, you’re sure to see the results! 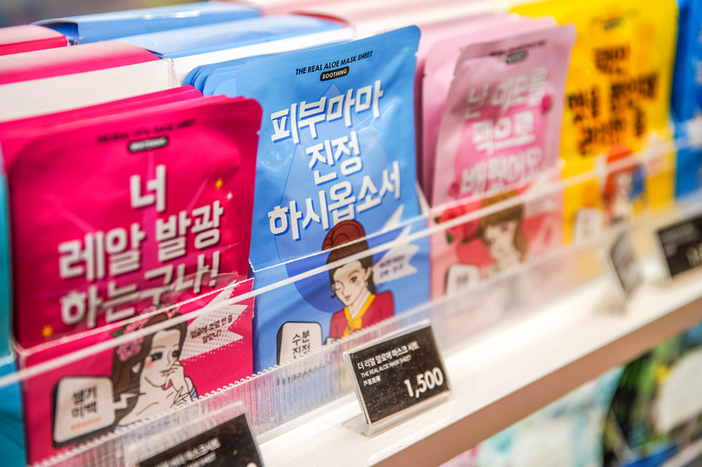 The easiest way to share the amazing power of K-beauty products with your friends is by giving sheet masks. Often sold BOGO or even as ten+ten, these individually sealed items come in a variety of styles for any skin type. 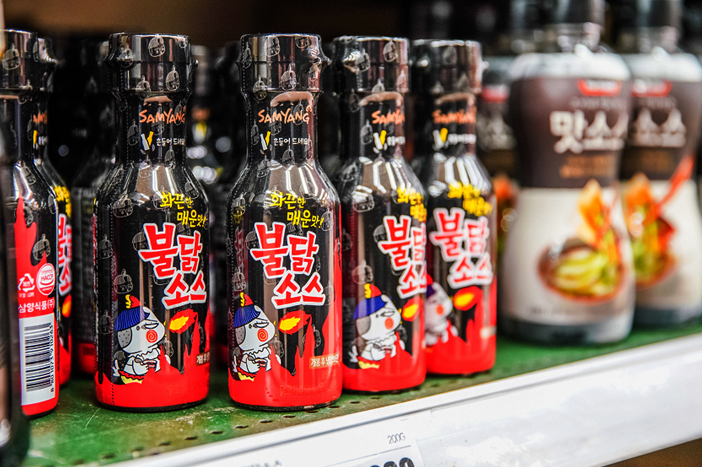 Drinking is a huge part of Korean society and foreigners can’t help but pick up on the culture around it, from mixing soju and beer with ease to shouting out “gunbae” instead of “cheers.” With this culture in place, it makes sense that Korea goes beyond the standard novelty shot glasses. 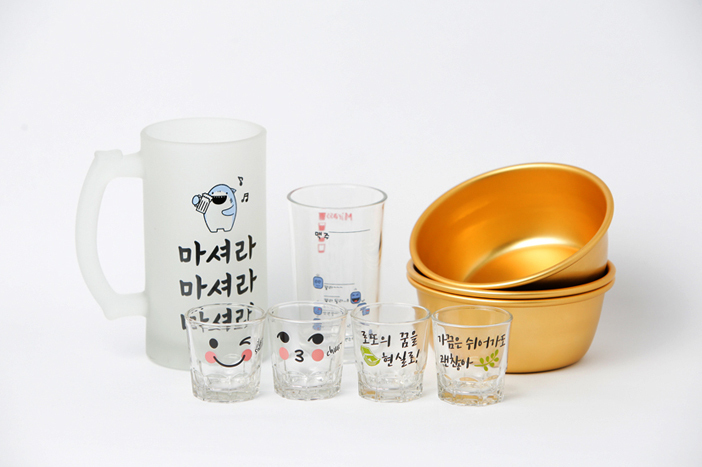 There are the basic soju glasses and beer mugs, but Korea also sells somaek (soju and beer mixed drink) glasses showing the amounts to pour according to the drinker’s ability to hold their alcohol. For family and friends who enjoy drinking, be sure to pick up some drinking glasses so you can share the Korean drinking culture!